New releases from innovative British jazz musicians are always welcome, so the new album from saxophonist Ed Jones is something to savour. Jones arrived on the jazz scene back in in the 1980s as an exciting talent in the growing acid jazz scene, and he released his first record on Gilles Peterson’s new Acid Jazz record label in 1987. Since then, Jones has enjoyed success moving between a number of diverse and eclectic outlets, including a long stay with funk/soul outfit Incognito. Outside that outfit, Jones has been a prolific session player, adding his distinctive tone and driving sound to projects by Us3 and funk bass legend Bootsy Collins, as well as household names like Tina Turner and Chaka Khan. It’s always a clear sign that any musician has a unique voice and input when they are called upon to contribute to a diverse variety of musical sounds and styles. For this album, Jones is joined by the quartet he first started working with back in 2011. You’d expect musicians who have collaborated for this long to have developed an instinctive working relationship, and so it proves. The opening track Nomadology highlights Jones’ trademark flow, with the rest of the band complementing and underpinning without ever intruding on the effortless improvisational lines. Pandora’s Box showcases the superb piano playing of Ross Stanley – it’s clear that Jones is comfortable with his fellow musicians stretching out the tunes and showcasing their own abilities. The third cut is Starbright and includes a vocal by Brigitte Beraha. Employing a more reflective musical subtlety, this track is dedicated to Wayne Shorter. There is a definite shift in approach here, with Jones stepping right back, adding just occasional input to enhance the mood, the majority of the musical input again from Stanley. Although Jones and Stanley carry the majority of the musical weight on this album, the importance of the rhythm section – Riaan Vosloo on double bass and Tim Giles on drums cannot be left without consideration. Their skills in providing texture and shade on the quieter passages, together with robust support on the harder-edged moments add essential subtleties to the overall feel of this record which develop a valuable depth as the music unfolds. As a showcase for a recorded selection of the varied talents of this band, this album has much to offer, and it serves more than adequately as a reminder of the depth and range that Jones offers. His debt and homage to his hero Wayne Shorter is clearly heard throughout the music like a virtual hallmark, but the spirituality of John Coltrane is never far from the subconsciousness of the listener, and that can only ever be a positive addition to the atmosphere they have captured in the studio. 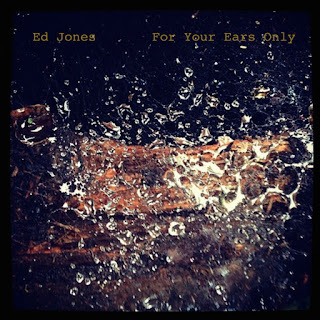 When you listen to the variety and subtlety of Jones’ playing in this album, the reasons for the constant calls from producers and musical directors working with such diverse musical styles and musicians become very clear. Musical icing from Ed Jones’ saxophone adds an additional musical dimension that enhances the work of many famous musicians, and on the basis of the music he plays here, it’s clear why the demand for his input is only increasing. Allowing for his increasingly crowded session diary, hopefully it won’t be long before this quartet can get some studio time to produce more material of this calibre.